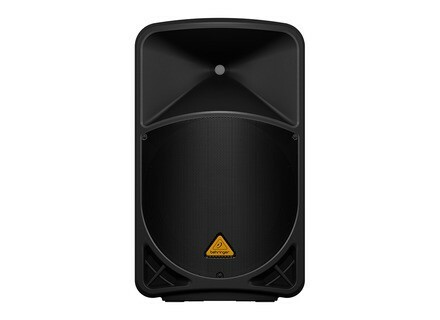 Eurolive B115D, Powered PA Speaker Cabinet from Behringer in the Eurolive series. 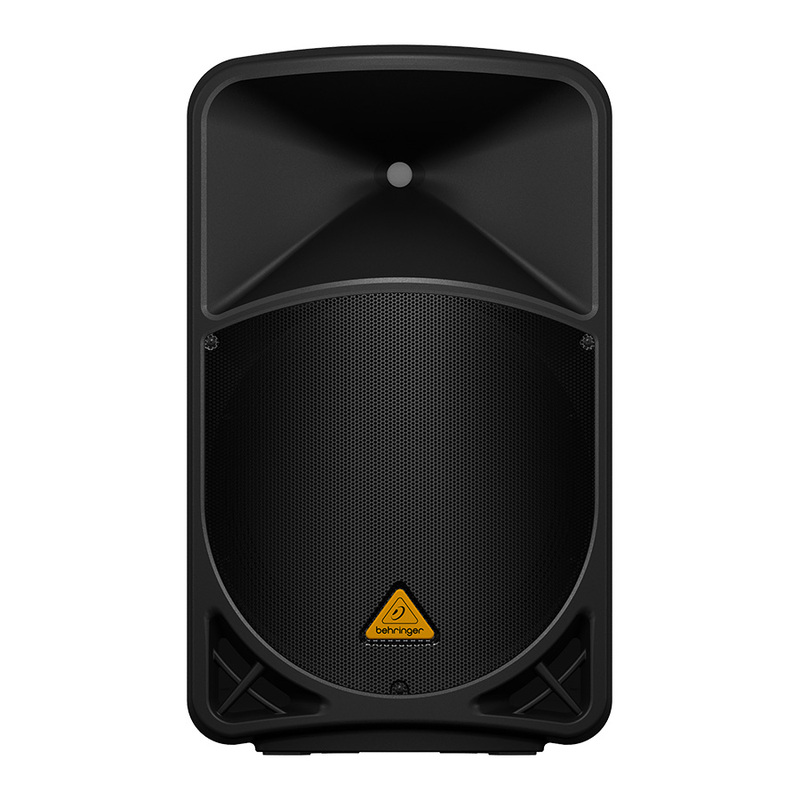 Behringer is now shipping its Eurolive B115D and B115MP3 active 2-way loudspeakers. The new systems feature an integrated dual-channel mixer with 2-band EQ, built-in sound processor and 1,000 Watts of Class-D bi-amplification-and weigh 38.9 lbs. / 17.7 kg each. The enclosure design allows them to be pole-mounted, stacked, or placed horizontally for floor monitor wedge applications. A dedicated USB-style 3.0 input provides integration with Behringer's new upcoming Ultralink Series wireless microphones (sold separately), for two wireless channels. The B115D and B115MP3 features 15'' long-excursion LF driver delivers and a 1.35'' aluminum-diaphragm compression driver. As the name suggests, the B115MP3 comes with an addressable embedded MP3 player. The 8-button user interface and multi-function LCD panel allows the user to browse tracks and select shuffle, repeat or single-play modes. Both models are covered by a 3-year limited warranty. Visit behringer.com for more information. Grund Audio VIP Series Grund Audio Design announces the debut of the new VIP Series loudspeakers. CAD Audio StagePass WX1200 CAD Audio introduces its StagePass WX1200 wireless system. [PLASA] Klark Teknik DN9610 Klark Teknik recently launched its DN9610 AES50 multichannel digital audio network connector at PLASA 2012.